Solar Nations: Is solar energy intermittent? Once Bucky Fuller told a story about being at MIT, talking to some of the brightest people in the world. There he asked to see hands: would anyone deny that the sun rises every morning? Of course there were no hands. Then he pointed out that they were all wrong — we have known for centuries, if not millennia, that the earth spins; the sun is constant. In the morning as the Earth revolves the sun into seeability, we experience sunsight. The other day I chanced upon a TED Talk by Bill Gates, Innovating to zero (zero carbon, that is). When he got around to renewables, he said "these are intermittent sources." Life emerged from the deep because the Earth spins on its axis, generating thermodynamic processes. Substances pulsing between hot and cold eventually captured the flux and complexified, surfing at the margins as it were. A planet with one side always facing its sun is a dead planet. 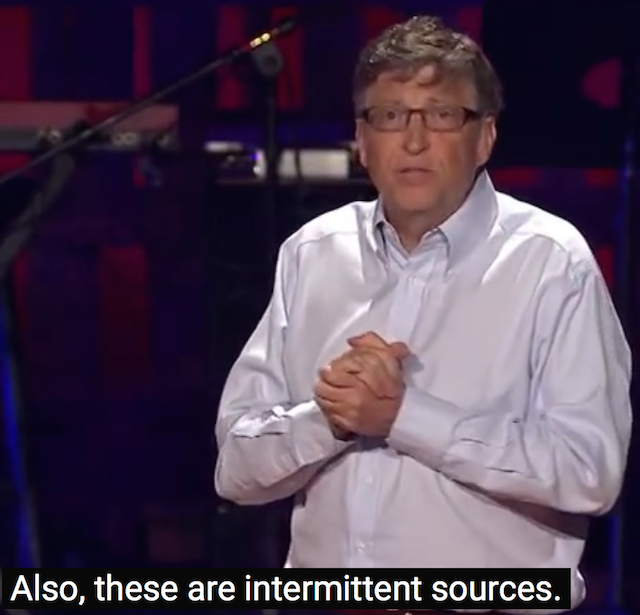 We can be thankful that the sun gives us respite every night, time to cool off and reconsider the wisdom of Bill Gates. I am more interested in hearing what engineers have to say about all this. Good engineering starts with a clear understanding of the constraints. I for one am ecstatic that our Sun's energy is constant and the Earth spins. I can design accordingly. Beware of programmers carrying screwdrivers. If trees can make it through the night without burning fossil fuels, so can we.